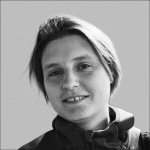 Marina Viazovska is a recipient of one of the New Horizons in Mathematics Prizes 2018 "for the remarkable application of the theory of modular forms to the sphere packing problem in special dimensions." Maryna was a doctoral student of Don Zagier in the MPIM graduate school from 2008-2012. She obtained her PhD from the University of Bonn in 2013. The New Horizons in Mathematics Prize is an annual prize for junior researchers who have already produced important work. It consists of a monetary award of $100,000. The prize was established in 2016 and is funded by Mark Zuckerberg and Yuri Milner. The awards were announced together with the Breakthrough Prizes 2018 on December 3, 2017 at a gala ceremony in Silicon Valley hosted by Morgan Freeman. Di Yang (MPIM visitor from 09/2016 - 08/2018) and Xuanyu Pan (MPIM visitor from 10/2016 - 09/2017) were each awarded one of the coveted and highly competitive awards from the Thousand Talents Program of the Chinese government. The award consists of a faculty position and funding up to 3 million RMB usually complemented by additional funds from the host university. Di Yang will be based at the University of Science and Technology of China in Hefei. Xuanyu Pan will be based at the Chinese Academy of Sciences in Beijing. Berlin, 3. Februar 2017. Gerd Faltings, Direktor am Max-Planck-Institut für Mathematik in Bonn, Honorarprofessor für Mathematik an der Universität Bonn und Mitglied im Hausdorff Center for Mathematics, dem Bonner Exzellenzcluster für Mathematik und mathematische Ökonomie, erhält die Cantor-Medaille der Deutschen Mathematiker-Vereinigung (DMV). Das beschloss das Präsidium der DMV kürzlich in Berlin. Die Cantor-Medaille ist die bedeutendste wissenschaftliche Auszeichnung, die die DMV vergibt.